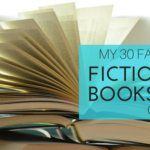 I gave a single fiction book a five-star rating in August. 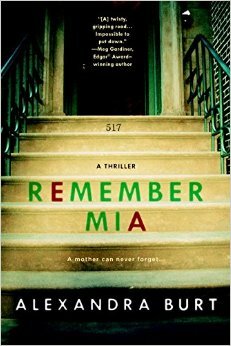 Remember Mia by Alexandra Burt was not one of those books that I stayed up all night reading. That’s usually how I can tell that a book is five stars—it keeps me up at night because I can’t wait to know what happens next. While Remember Mia did not result in a loss of sleep, it did keep me content in the chair reading away on a Friday night while my husband watched TV and napped on the couch. And I did stay up much later than normal because I needed to finish the book and know what happened. I mean, what else can you do when a baby is missing? If you read as much as I do, you discover that it’s difficult to find many new, engaging storylines. I loved the unique storyline in Remember Mia. It kept me entertained and wondering what would happen next. I also didn’t guess the outcome until I was almost done with the book. Add good writing to the mix, which this book has, and you have a five-star book worth reading. Enjoy!